EXCLUSIVE / Donald Trump is offering Europe the opportunity to gain the leadership role that it has always craved, but EU leaders should be vigilant not to fall into the anti-Americanism trap, Malta’s premier told euractiv.com in a wide-ranging interview on internal and global challenges, outlining a vision for the future of Europe. Joseph Muscat has been serving as prime minister of Malta since 2013 and has been Leader of the Labour Party since June 2006. 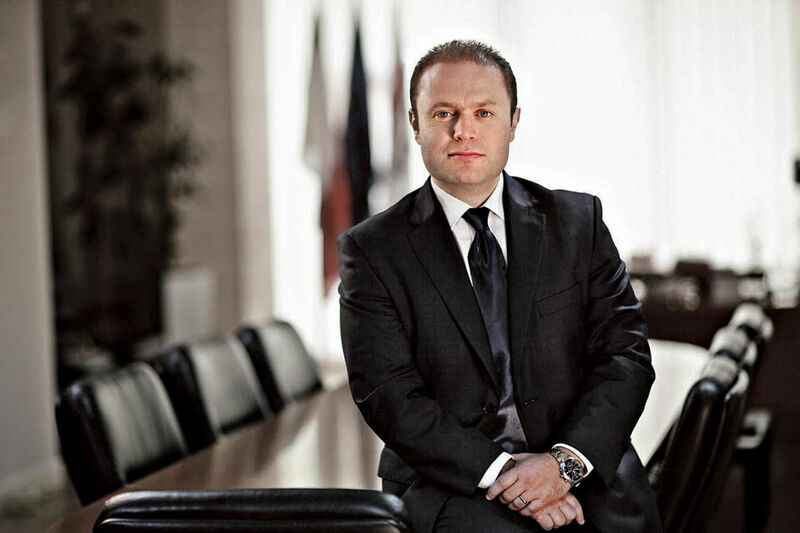 Although Muscat campaigned against Malta’s entry into the EU, he was an MEP from 2004 to 2008. Muscat resigned to take up his seat in the Maltese Parliament and as the then-leader of the opposition. Malta is holding the rotating presidency of the EU until June. President Tusk has sounded the alarm ahead of the Valletta summit on Friday. Are you preparing to send a strong message to the US government after several attacks on Europe? Donald Tusk was right in showing a growing, genuine concern amongst EU leaders. I cannot speak for the other leaders, but I speak for myself. My greatest concern at this point in time is the uncertainty. 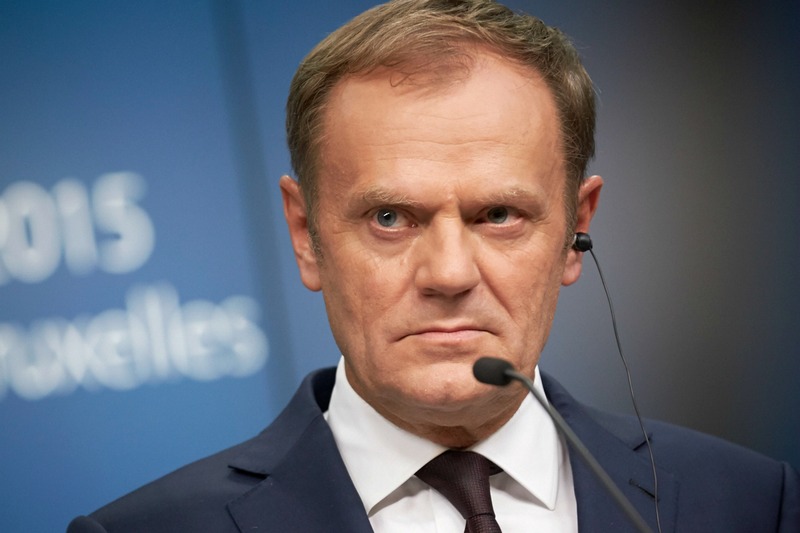 In an emotional letter sent to EU leaders gathering in Malta this week, European Council President Donald Tusk issued a bold call to arms today (31 January), to fight those who try to whittle away at the European project, loudly and clearly asserting that the EU is here to stay. We don’t know whether this is a thought-out policy from the US administration, which aims at actively trying to undermine the European project. Or whether these are simply comments that are maybe accorded too much importance from our side and whether it should stop here. Effectively, this is the new policy of the new US government, undoing 40 years of US policy with regard to the European Union. What I think is very, very important for us, as the European Union, is that even if we might be particularly critical of the present administration, we should not translate this into anti-Americanism. But this man has attacked the fundamentals of our values, not least with the Muslim ban. Europe cannot stand still, don’t you think? Agreed. My point is that we should take exception with the administration, not with the United States. I do see a difference between the United States as a concept, as a country, as a strategic ally and the current administration. Administrations come and go. We should not let this turn into an anti-American wave. We should be very vociferous if we disagree with some of the things he is doing, which are heavy-handed. Even if one agrees with the need for more security: I for one agree with the need for more security. (But) the way this is done is heavy-handed and questionable. How should EU leaders conduct themselves in a Trump era then? I for one am against, in all cases, closing channels of communication. That would be the wrong decision. We have to keep contacts, engaging … I do see this, as some others have pointed out, as an opportunity for Europe to gain the leadership role that it has always craved for. There is an obvious vacuum where countries around the world are looking for leadership and this is an occasion that comes once in a couple of generations that Europe has now. This is true and we will get to it. But how do you prevent EU leaders from going solo on Trump when they are pushed by the US to strengthen bilateral relations? Mr Trump is not reinventing the wheel. That approach has been taken by other extremely important countries over the past two years. While there are bilateral levels of communication, when there is the need of agglomeration, with different nuances, everybody moves in the same direction. I don’t think it is about either or, but rather having a common approach – bilateral relations, with a common European approach to those bilateral relations. Once again, the novelty is not the strategy being used on the other side of the table, but the country using it. Other countries have used this tactic for quite some time. What countries are you thinking of? Russia? When it comes to Russia, there are nuances in the way different member states have their economic relationship with Russia. But even though we have those nuances, the approach is still one and very solid. It is, of course, an issue for debate whether or not we should renew the sanctions. But at the end of the day, there has been unity. I don’t think this [Trump’s] strategy is a strategy that Europe is facing for the first time. It’s the country on the other side of the table, which is using it for the first time. On Russia, there is global concern over the escalation of fighting in Ukraine, between government forces and Russian-backed separatists. Are we preparing for the worst with Russia? We should always be prepared for all circumstances. My approach is to keep the door open for dialogue and nudge the other parties to keep to their agreement. The countries in the Normandy-format from the European side have done a great deal of work over the past few months. Irrespective of Russia, the European Union should have a serious debate on our foreign policy, which has been mostly underpinned by the relationship with the United States. Now we have to decide whether we want to go solo, whether we want to lead another group of countries, or whether we follow the United States. I lead a country that has very little economic ties with Russia, so I try to listen to my colleagues with an open mind. I see the frustration of some of my friends, especially in the south of Europe, whose economies are suffering because of the sanctions and the frustration of colleagues in the east, who think any budging or giving in is a sign of strategic weakness that undermines their security. The truth is, in most of the cases in the past few years, one of the arguments sparked publicly was, “The United States is imposing sanctions, so we have to align with them.” Now that the US might relinquish sanctions, we need to have a debate on whether we want to lead ourselves, rather than be the first followers of the pack. This has to go beyond Russia and sanctions. Do you think the EU’s global strategy, adopted last summer, should be revised, maybe even emboldened in the light of new realities triggered by Trump? The frustrating part on how this relation will develop is the lack of predictability. We could well be reviewing a strategy to fit a situation that might no longer exist once the strategy is reviewed. So, I think right now the name of the game is flexibility. The name of the game right now is not about more documents, but more about engaging with the Americans, but also giving a clear message that Europe is ready to be a key player, the way it has been in the Iran deal. As we are approaching the 60th anniversary of its existence, the EU has to decide whether it is coming of age or not. That is the real big challenge ahead. Do we want to be the first of the followers or the leader? Could that also apply to trade, as the US is turning protectionist? In Davos, Chinese President Xi Jinping was the defender of economic globalisation and free trade. Others are stepping into the space vacated by the US. Can the EU reshape geopolitical alliances, and foster a new global order? I see an opportunity when it comes to free trade. Not just because the United States seems to be reticent. When it comes to free trade, I don’t think the rest of the world will do the same. It actually increases the willingness from other countries to fetch an agreement with the EU. I think we should grasp the moment really and truly. I would want to rethink, positively, our relationship with China. I think we should see whether we can move beyond the debate on dumping and whether we can find a link at least commercially on which we can build a trade alliance with China. I see that as an opportunity. I am asking this in light of Trump’s decision to ditch the Trans-Pacific Partnership (TPP). Australia and New Zealand are thinking about opening up TPP to China. With the EU-US trade deal, TTIP, becoming a zombie, is there a case to enlarge the TPP to include the EU? I would not exclude anything at this point in time. I think that what the US president is doing right now will lead to short-term positive economic results for the United States. There will be new impetus with new investment in the US that might be lacking for some time, but it is not sustainable. History shows us that when you divert trade, you create a flimsy cycle that will burst at some point, undermining competitiveness. The first debate the EU should have is whether we really stand and how we stand for free trade. There is a lot of misunderstanding between protection and protectionism. I think Europe should be about the protection of our citizens, security, consumer protection, social protection and environmental protection. There is a thin line between protection and protectionism–stopping other people or products from coming into Europe, building walls, whether they are physical, imaginary, tariffs or whatever. Now it’s also the time, as the EU is arguably the biggest market in the world, to put forward our big ideas which complement those trade agreements. What has been achieved in CETA will now be easier to achieve with other countries. We can say to them: this is how we do things. It can become a way of exporting Europe and European values. So you see Trump as something of an opportunity for Europe? Well, I do not think we should be rubbing our hands with glee. In fact, I think it is sad that such a man has been elected president of the United States and a situation that we would rather not be experiencing. But there is a vacuum, and that is an opportunity on the commercial front. Let me come now to Valletta summit, which is the follow-up to the Bratislava summit last September. There, EU leaders failed to show unity on migration and the economy. Will EU leaders reach a united front? Well, it depends on what one is willing to sacrifice for unity. We can be united on the lowest common denominator where unity is pointless. I do value unity a lot, but I would not put unity in front of my principles. We could be united in reversing what Europe has been about over the last decades. That would be a united Europe, but it is not the kind of Europe that we would want. So yes, I value unity and I think that Donald Tusk is right in his efforts to rally the troops. What you will see in Malta is the result of a lot of hard work that has gone into tackling the issue of migration in the Central Mediterranean over the past few weeks. I hope that we will be able to achieve progress and I hope that all 28 member states will be able to agree on something substantial on migration. The disagreements on the external aspect of migration remain, but I think that in order to make progress on the internal front, we need to show that we mean business on the external frontiers. You have been pushing to have Turkey-style deals with countries in North Africa – Libya, Tunisia and so on. But what the Commission proposed was not really an ambitious deal of this kind. Do you feel that you are being listened to? I do think so, in so much as the Commission has started to act a bit more forcefully. The draft decisions that are being circulated address some of my concerns. But I think there is still not enough awareness that this will not be enough, and we will have a situation where if we don’t do more, we will have another crisis in a couple of months’ time. Progress on migration is still not enough So we have not yet achieved what we think is an essential part of the solution. We have achieved progress. We are moving in the right direction. I will not abandon my aim, and I think that the replication of the Turkey agreement with North African countries, breaking the business model of the smugglers, should remain a firm goal of any realistic and sustainable migration policy. Could you do that without Libya? No. I acknowledge the fact that the Libyan government is in a very weak position and that Libya is not Turkey and has a great deal more problems than Turkey. But you cannot do it without Libya. It has to be involved. It is not enough, and I think the issue should be dealt with before migrants even reach the sea. There is a lot of work we need to do with the tribes in the south of Libya, the Tuareg and the Tebu people, who have essentially built an economy around people-trafficking and are not too comfortable with it and want a way out. Europe should help in offering them this way out. Some estimations showed that the tribes in the south made up to €5 million per week from trafficking. They tell us that this is the only business option they have. So we need to offer them an alternative model, by investing in their communities. That is one of the key ways in which we can act before the migrants even make it to the coast. What would you think of as a turning point for the Valletta summit? I think that the very fact that we can achieve a degree of unity, with tangible progress on migration, is something we have not heard in some time. You will see this in the draft conclusions when they are published. It is a good sign that we can make such good progress so early on in our presidency and we will build on it in the next few months. Tusk called for political solidarity. What do you think solidarity means after the Brexit vote and for the EU-27? Let’s put it this way: I think there is an issue of understanding what unites us. I believe that once you drive a wedge into a family of countries, reuniting is difficult. And we can feel this. Still, I would be an optimist and say: look at the financial crisis at the turn of the decade and look at where we are now. Europe has had to weather quite a number of hard blows to its economy, its system, its structure. But still it is there, and the last time I checked there was a queue of countries waiting to join, not to leave. You mentioned the wedge. Do you think that the creation of private clubs of EU member states—Visegrad, Mediterranean, the Baltics– pushes countries further apart? Well, there have always been a number of regional groups. I have never attended a Visegrad group meeting, so I cannot say what it looks like. During the Mediterranean meetings, we try not to come with one position for all seven countries. It is a discussion of principles and the direction we want to move in. Moving ahead by cutting political debates in small groups. I don’t see this as in any way hindering the European project. But what I would love to see is formats that transcend geography and size, and every now and then have meetings of five, six or seven member states together – small and large from north, south, east and west – to share and to have a deeper political discussion. This is difficult with 28 states. It is a big number and it is not easy to manage, so most of the time each country’s priority is its own turf. Cutting the political debate down into small groups would help us understand each other better, and this should be something that we should put into one format or another. Should this be institutionalised? Variable geometry? Perhaps. I have only been invited once by Angela Merkel along with a group of other not-like-minded countries. We had the chance to really listen to one another’s points of view, question them without having to do so in front of the whole EU bubble and have a meaningful conversation. I learnt a lot from this experience and I hope the others did too. The upcoming summit is supposed to come up with a roadmap for the future of the EU to be presented in Rome next month, during the celebration of the 60th anniversary of the Treaty of Rome. What do you think would be suitable? The best roadmap for Europe is a plan to truly build on the social pillar. I do think that there are other things we can do – security is a very low-hanging fruit – but if we want to be ambitious, the next big thing is a social union. Those willing to move ahead with creating a Europe that protects, but is not protectionist, should come together. Do you think that this will have enough of a “wow” effect to reconnect European citizens with the European project? I am a former Eurosceptic, so I do understand the arguments of these people. I understand the feeling that Europe is far away and it is doing nothing for you. And some of those arguments are valid. One needs to change the EU from within. The question is whether by getting out of it, you are actually improving your life, or you are trying to retreat to a world that does not really exist, to find that you are still affected by all these rules in one way or another. I would argue that one needs to continue to change the organisation from within. I am comfortable in saying that because I have travelled this journey. What you are saying is very thoughtful, but on the eve of crucial elections France, Germany, the Netherlands and maybe Italy, don’t you think the EU needs a hawkish strategy when it comes to re-engaging with its citizens, rather than wishful thinking? I would disagree with that. Europe and the pro-Europeans still think of a pro-European campaign in terms of how many flags with yellow stars you put out. They say it is all about saying that Europe is about peace and history. Yes, it certainly is, but I think we should translate that into what people are actually getting out of it. For a country like ours, this means access. For a country of less than half a million people, to a market of 500 million, it is the right to move from one place to another, the right to equality. So many rights are currently being taken for granted. How can we engage with people, especially the young, if the only thing you have to sell is the past? The narrative has to shift to the future. The narrative I hear from pro-Europeans all the time is about history and the past. How can we engage with people, especially the young, if the only thing you have to sell is the past? They do not remember this past and, rightly or wrongly, they may not care about it. The message has to have more to do with the future. And right now, the only people talking about the future are the more extreme people who say we should close the doors and stop letting people in. Europe should be about protection: protecting the security of our citizens.